Not really a script but a replacement for the default "Graphics Modeling Tools" ribbon. 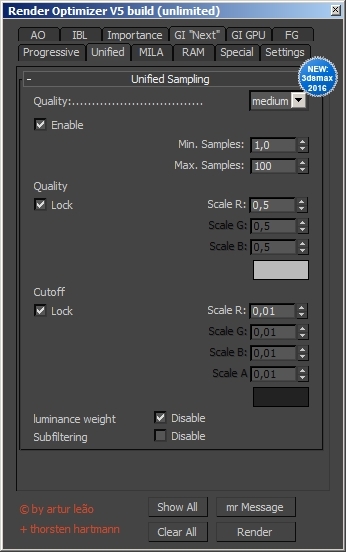 Change VRay properties en masse! Sets properties on all Vray materials and maps in the Scene, Selection or Material Editor in a couple of clicks. Global Subdiv Reset for getting scenes where you want them. ProTrajectoryHandles (PTH) creates in-viewport handles on trajectories. Now freeware! Calling all MCG developers! ScriptSpot now features an MCG section where you can share & find procedural MCG tools. 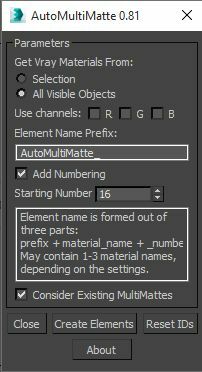 This is an incredibly exciting feature of 3ds Max 2016 and I'm excited to see all the tools you're able to create! The new section is a clean slate so there isn't any content until you add it! Since MCG files are inherently visual I'd like to see more images / video examples of what people can expect when using them.